Zi Corporation, a leading provider of intelligent interface solutions, today announced that it has signed a licensing agreement with Nintendo Co., Ltd. Under the agreement, Nintendo DS developers can employ Zi’s Decuma® handwriting recognition technology while creating software for the Nintendo DS handheld video game system. Nintendo DS is the first handheld gaming platform to offer dual screens and touch-screen technology, similar to touch technologies found in some PDA’s or smartphones. 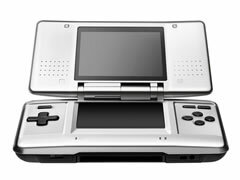 Users can interact with the Nintendo DS by using standard control buttons, a microphone or the gaming system’s innovative touch screen.